The Middle Kingdom is a great place to advance your career, but it's important to make the most of digital networking platforms like LinkedIn and WeChat to maximize your chances. China is an exciting market, especially if you’re looking for new career opportunities. It’s not only the world’s largest economy but also a hotbed for many new products and ideas. However, despite the allure of this growing market, in recent years finding a good job has only gotten harder for overseas talent. In the past, when China was a haven for Western expats looking for new adventures, opportunities were relatively easy to come by for those willing to brave the perils of the developing market. But now, as the local talent market has matured, the need for foreign experts has decreased. That isn’t to say there aren’t opportunities though – there most certainly are. But it’s now much more important to have the right skills and experience AND to use a smart search strategy. Therefore, one important way to career development in China is cultivating your digital network. Based on my own experience, I can offer some useful tips to aid you in developing your own China career. And my advice is based on my own philosophy for living and working in China – that it’s best to live with one foot in each world. Therefore, when possible, I suggest using both Western and Chinese platforms to maximize your chances. And in China, that means LinkedIn and WeChat. So, take a look at these tips and get going with your China career move! A good LinkedIn presence is an important foundation to lay before beginning your China job search. Not only is it a place to list all your relevant professional information, but it provides multiple options for seeking out new contacts as well as finding and applying for jobs. Write a China-focused profile: First and foremost, you need to make sure your interest or expertise in China is clear – having your Chinese name in your profile is not enough! China, as well as your ability and interest in doing business there, should also be mentioned in your headline and summary, as well as your current job description if relevant. Join China-focused groups: LinkedIn is not merely a high-quality digital CV – it’s also a great place to network. Groups on LinkedIn (and there are many with a China focus) are a great way to engage with people from all over the world with a similar interest in China. You can ask questions, share posts, and find interesting members to connect with. Reach out to directly to target contacts: Another great thing about using LinkedIn actively is the ability to easily research companies and identify people that work for them, both inside and outside your existing network. This makes it easier to develop new relationships and connect with companies that are hiring, instead of blindly applying to job after job, with many companies almost certain to not give you a second glance. 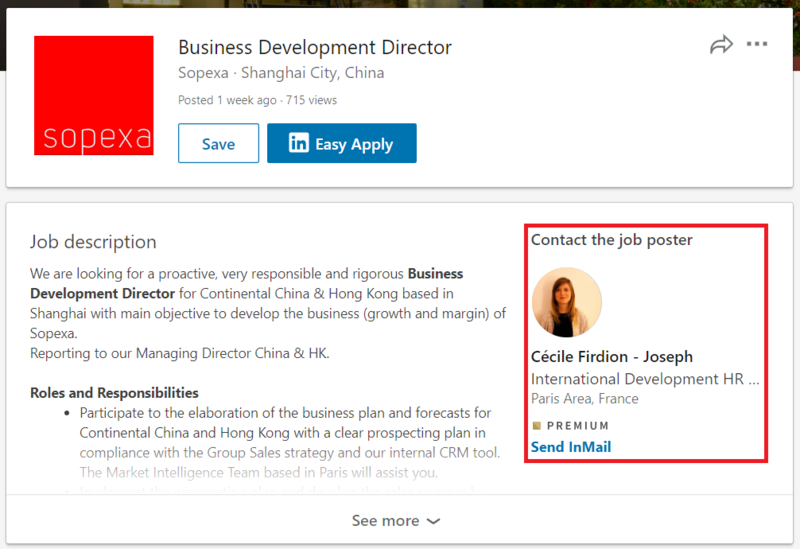 Connect with China-focused recruiters: Recruiters are a great way to make headway with a career search in a new and unfamiliar region like China, and LinkedIn is an easy place to find them and connect. Recruiters in China work both for specific companies as well as for recruitment companies, and if you have the right skills they’ll be very happy to help you out (that IS how they get paid after all). Use the “jobs” tab: The jobs tab on LinkedIn is a powerful location to view and apply for jobs posted through LinkedIn, which can be filtered via location, company name, and other options. But one of the more useful features for career networking is the ability to view the recruiter/hiring manager responsible for certain job postings, giving you easier access to the right person to talk to. 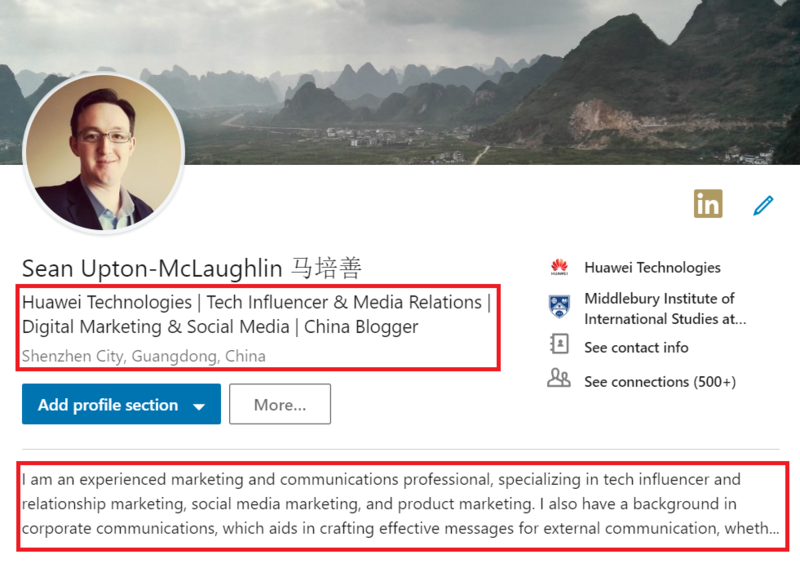 Search smarter with Chinese and English keywords: Lastly, when searching for people to network with on LinkedIn, it’s a great idea to use keywords along with filters to refine your search. For example, if you are interested in connecting with people from Tencent in China, you can use the filters to narrow your search by company and country/region, and use keywords to locate people with the right type of role. Also, don’t forget that many potentially useful contacts may not speak much English or have parts of their profiles in Chinese. Therefore it’s also recommended to use a list of Chinese terms, such as 猎头 (recruiter), 社交媒体 (social media), or 通讯(telecommunications) to locate local Chinese contacts. WeChat is a vital app for everyday life in China. It’s also very useful for managing your China network, as while only more overseas oriented Chinese people will have LinkedIn accounts, it’s hard to find ANY Chinese person without a WeChat account. 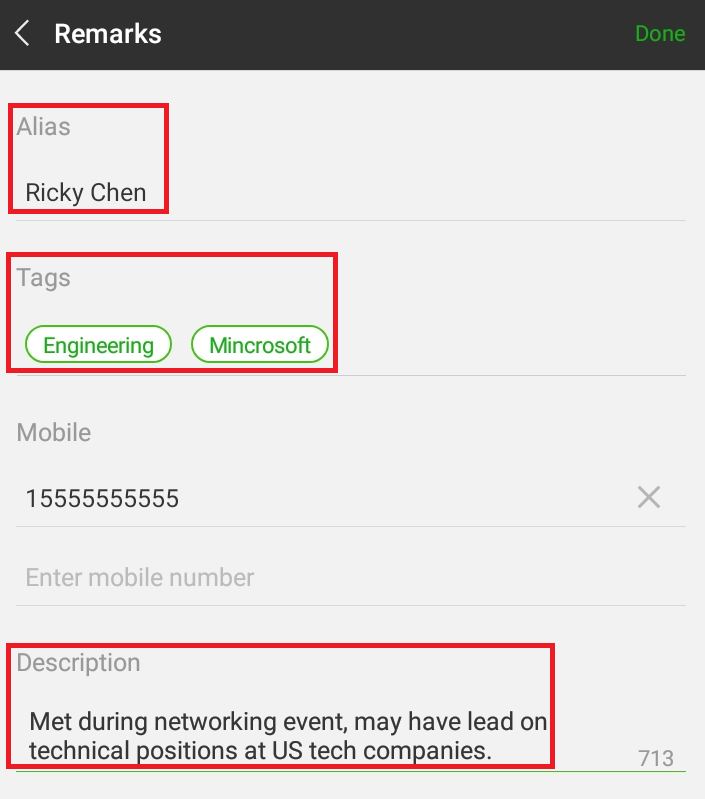 Choose a useful name: The first step to using WeChat successfully to help your career development is to have a profile name that not only lists an actual name (Chinese people often use anonymous names), and if possible lists your current company and profession (e.g., Chris Davis – Apple MKT). This will allow new contacts to easily find you in their contacts’ list and remember what you do. Fill in that summary: WeChat profiles also have their own short profile space. Use this as an opportunity to list key information you want others to know, such as your current goals, skills, and interests, especially as they relate to your career in China. Update contact “aliases”: When adding new contacts, first make sure to update your new friend’s “alias” to their actual name and position. Without an updated alias, all you’ll likely see in your contacts list are Chinese characters you either can’t read or can’t understand because they’re an anonymous identity. Having a clear idea of who each and every one of your WeChat contacts is will make managing your China network SO much easier. Make use of the “tag” option: Despite looking like a mere chat app to the untrained eye, WeChat is more than capable of acting as a hub for all your important China contacts. When adding a new contact, list them under several useful tags, such as company name and job (e.g., Sony), their job function (e.g., recruiter), and their relationship to you (e.g., close friend). This will make future networking much easier as you’ll be able to find needed contacts with just the press of a button. Create groups with similar interests: Like LinkedIn, WeChat also has a group function, though it is much more personal than that of its Western counterpart. Users are able to create their own groups and invite existing contacts. This allows you to form groups to pursue common interests (e.g., foreigners looking for work in China). Also, if you’re coming to China to develop your career, one of the more useful things you can do right off the bat is obtaining invites to existing groups and introducing yourself. This can quickly introduce you to people on the ground and gain you helpful contacts. Connect with colleagues: After figuring out the WeChat basics, make sure you start connecting with your colleagues at work, especially those in China where WeChat is essential. These contacts will form the beginnings of your network in China and will be able to provide useful help and support. Get on the recruiter grapevine: There are thousands upon thousands of Chinese recruiters on WeChat, always looking for new talent to recommend to companies. The key is getting their attention. In my experience, there are two key ways to do this. First, it’s common for people to recommend recruiters in their own network, so make sure to reach out to your own contacts (not in your department or team though) to ask if they can recommend one. Second, it’s common for recruiters to find talent via information posted on job search sites (especially Chinese ones). Therefore, if you’re looking for a job and want to get the attention of Chinese recruiters, find ways to post your resume online and include your phone/WeChat contact details. Based on what I’ve heard it’s possible to connect with several new recruiters each week using this method, assuming you stand out as a candidate. 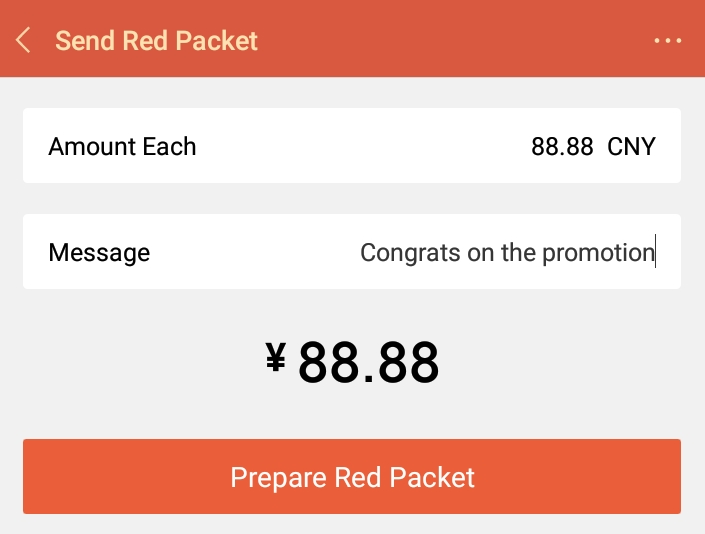 Don’t forget those Red Envelopes: I introduced the concept of “Red Envelopes” in a previous article, and they are definitely an important part of maintaining a network in China. So, once you’re connected with potentially influential coworkers and friends, make sure to use Red Envelopes from to time to show your appreciation and celebrate important holidays and events. I’d like to emphasize that despite my own success using LinkedIn and WeChat in China, they are not necessarily the only ways to career networking success in the Middle Kingdom. Networking effectively will always be dependent on doing your research and making use of the available tools. Despite the importance of digital and online networking today, don’t forget that China IS a relationship-driven society. This means that while technology still plays an important role, often there is no replacing face-to-face networking, especially if you want to lay the foundations for strong and healthy relationships. In closing, if you’re interested in working in China or with Chinese companies, there are still many great opportunities to be had. Just be aware that along with the developments in the Chinese market and society, demand for overseas talent is continuing to shift and evolve. To make the most of your search, make sure you make it your business to know what the local market is looking for, and who is looking. 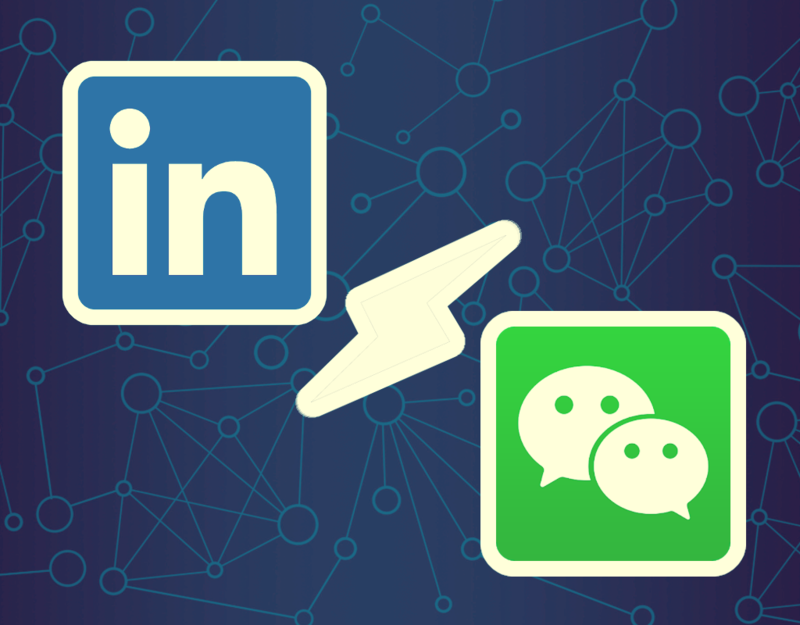 In this regard, LinkedIn and WeChat can be invaluable tools. Happy job hunting! Do you have any additional questions about using social networking to achieve career success in China? Do you have any suggestions on other sites or apps that can be used for job searching in China? Please feel free to post your thoughts in the comments section. You can also send a send a message directly to the author on social media. It’s somewhat the same over here these days. I understand that at one time, Taiwanese needed that foreign expertise and both Taiwanese & US companies offered a lot of expat packages. However, since The Good Old Days, many Taiwanese have learned from the expats in their companies, worked for US companies, and of course, earned advanced degrees at our top schools. Hence, there’s less need these days to pay a ton of $ and offer great expat packages (I don’t know if you expats in the PRC use the same term–generally a fatter paycheck, a nice apartment in Tian Mu–the nice and foreigner-friendly part of Taipei–paid membership in the American Club of China for your family & paying for your kids to attend Taipei American School–etc. Sweet!). Expat packages still exist, but not like in The Good Old Days, I understand. Again, a fun and interesting read! Expat packages have definitely become scarcer in recent years, though to clarify I do not consider myself an expat. You can still make good money in China with the right skills and company. And I also understand and support this shift away from incredibly lucrative packages – I don’t think companies in China really need experts giving advice from afar (i.e. far removed in their corner office) anymore. They need experts and leaders who are willing and able to get involved, cross the cultural divide, and get things done.